Mentioning Delhi without mentioning CP is not worth it. Being one of the most happening places of Delhi, CP is a renowned host for many remarkable restaurants. Among the best places to hangout in CP, there are many best restaurants in CP that are worth visiting once. If what you are looking for is a place to grab a meal in CP, here, we bring forth the exclusive list of best restaurants in CP, Delhi. Below is the refined list of best Restaurants in CP that would take you to the journey of impeccable enjoyment of taste. As we all know, Delhi has a lot to offer to its guests and food is one of them, so, when in Delhi, you should not miss to dip your taste buds in the fountain of authentic taste of India. Here, is the list of best non-veg and veg multi-cuisine restaurants in CP. Berco’s is one of the most loved non-veg and veg restaurants in CP to try. With the extraordinary organization skills of the team working at Berco’s the taste of the food will take you to another level of satisfaction. 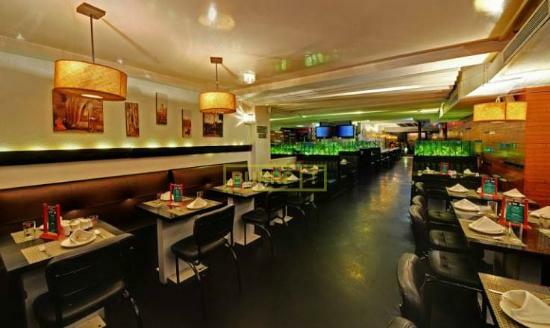 This Restaurant in CP, Delhi specializes in the Thai and Chinese food. Begining from the Appetizers and moving forward to Dessert, the journey of taste at Berco’s restaurant in CP is mind-blowing. Parikrama, the Revolving Restaurant in CP is one of the best and posh places to hangout in CP. Where the aura of the place speaks of perfection, there, the taste of food here, take you to the land of flawless taste paradise. Parikrams is one of the best multi-cuisine non-veg- Veg restaurants that can satisfy your craving for Chinese, Mughalai, Indian and Thai food. The architecture of the Parikrama Sky Lounge is worth praising as the single 90 min parikrama [round] of the restaurant tends to cover outstanding outlook of Delhi. So, if you are in CP Delhi, you should not miss out the remarkable Parikrama Restaurant in CP. Zaffran Restarants located in CP, Delhi is one of the best places to hangout in Delhi and enjoy the authentic taste of multi-cuisine menu. The Place is built with the 4 Glass walls, giving it’s guests the feel of being outdoors. Along with the impeccable service, the live display kitchen makes it more happening. 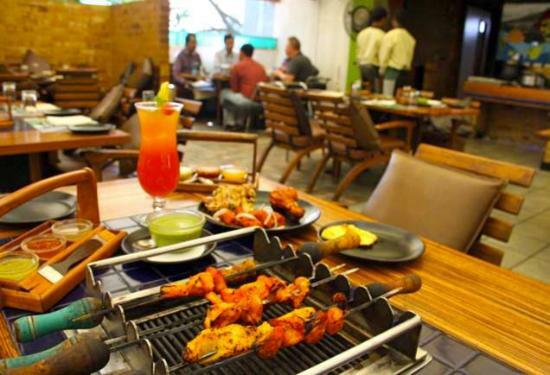 Here, at this beautiful restaurant in CP, Delhi you will find exclusive range of delicious Tikkas and Tandoori Snacks. Not only this, this restaurant is also renowned for the desserts like Phirni and Kulfi. So, serve you ravings at this one of the best restaurants in CP. Ambrosia Bliss is one of the best restaurants in CP to hangout and with the best multi-cuisine menu, they have become one of the famous eating places in CP, Delhi. With their remarkable services, they also offer the best food options for the people of Delhi and its guests. Entering Ambrosia Bliss, will give you the experience of divinity at its best, as the name suggest the experience of grabbing a meal at Ambrosia bliss is one of the memorable journey for one to go through. These are the best 5 restaurants in CP that are renowned for their exclusive variety of food and impeccable taste of cuisines they serve. Counted among the famous eating places in CP, these 5 restaurants in Delhi are renowned for being the best.